Attractive and incredibly easy to use these realistic plastic plants are ceramic weighted simply drop them in. Also available in Medium and Large. 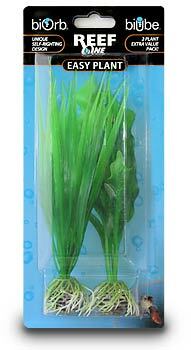 Small is suitable for 4 Gallon biOrb 8 Gallon biOrb 16 Gallon biOrb and 9 Gallon biUbe.